SkyRadar’s FMCW base module with Phased Array Antenna. “FMCW base” is a fully operational plug and play FMCW radar that comes with built-in antenna and the complete control and visualization software. It operates with an Phased Array antenna and provides applications as FMCW mode, Doppler, Frequency Shift Keying etc. The FMCW Base software allows for comfortable control of the system, providing multiple ways of visualization such as FMCW Fast Fourier Transform, Doppler, IF Signals or the VCO Ramp. The software also provides calculation and visualization for the Synthetic Aperture Radar extension. SKYRADAR FMCW is a 16Bit data acquisition and processing system with a total 250k/s sampling rate. It contains all hardware necessary for acquiring Radar signals of SkyRadar Transceivers. 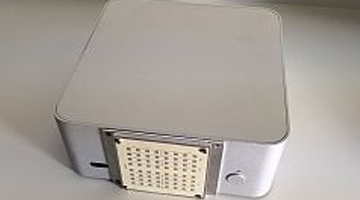 SKYRADAR FMCW contains a motherboard with power supply, amplifiers and I/O connectors. Data acquisition is performed by a NI-USB-6211 16Bit multifunction DAQ module from National Instruments mounted on the backside. The easy to handle SkyRadar Signal Explorer software features many basic Radar functions including an exciting FSK (Frequency Shift Keying) operation mode for high resolution distance measurements of moving objects. The Transceiver is a 60 patch doppler module with an asymmetrical narrow beam. This module includes a RF low noise amplifier and two 47dB IF preamplifiers for both I and Q channels. This greatly improves flexibility in FSK ranging applications. 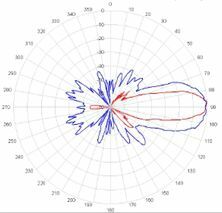 The following diagram shows module sensitivity in both azimuth and elevation directions. It therefore incorporates the transmitter and receiver antenna characteristics. Similar to the SkyRadar Base Module, the FMCW base is the core of a range of applications. It operates with an Phased Array antenna and provides applications as FMCW mode, Doppler, Frequency Shift Keying etc. 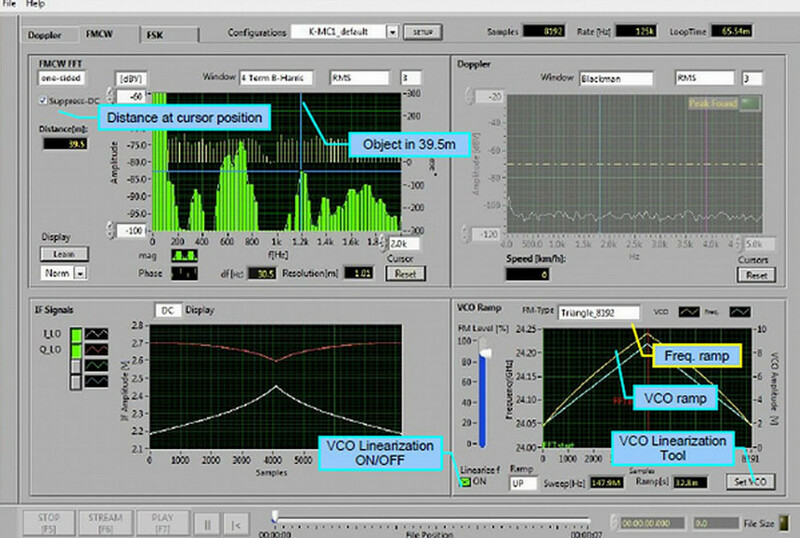 The FMCW Base software allows for comfortable control of the system, providing multiple ways of visualization such as FMCW Fast Fourier Transform, Doppler, IF Signals or the VCO Ramp.